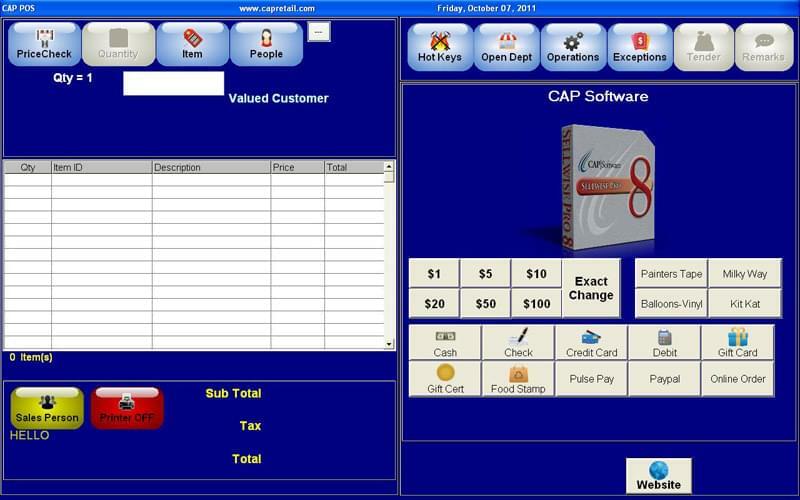 In business since 1978, CAP Software was one of the original producers of inventory management software. It supplies specialty retailers with state-of-the-art customizable software, and it also offers hardware products. As the first retail software package developer, CAP Software is the industry leader in helping retailers optimize their business from point of sale to the back office. SellWise Pro is CAP’s powerful inventory management software. User-friendly, SellWise Pro provides flexibility with its point-of-sale interface integrated directly to a robust back office management system. Inventory control is a breeze with the configurable inventory layout, built-in cycle counting and vendor management. Detailed information on each product enables automatic reordering of items which have sold. It can host vendor management information to optimize inventory tracking. SellWise Pro contains everything a retail business needs, including customer contact information and buying patterns to maximize marketing campaigns. The inventory control software can also send automatic alerts to customers advising them of new products. SellWise Pro eliminates the need for separate forms for POS transactions. This powerful software allows you to easily manage multiple price promotions, layaways, serial numbers and more. With its reporting features, you will reduce costs and improve inventory turnover. Its flexible reporting options allow you to generate all types of reports, be they daily reports or reports by quarter. CAP Software’s SellWise Pro is an invaluable tool for retailers. Learn everything you need to know about CAP Sellwise Pro. Our experts will reach out to you shortly.